It will be time for our Open Garden before you know it! Each year the 2nd, 3rd, & 4th Saturdays of April from 9:00 a.m. - 5:00 p.m. to see the blooms of spring. Come see all the beautiful natives we have to offer! Come walk through our gardens and help welcome the blossoms of spring! and require less care once established. 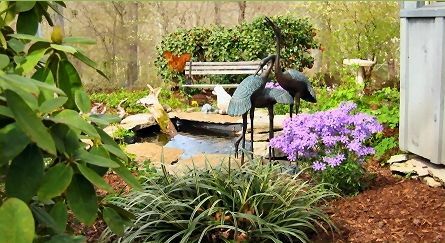 We carry a variety of native azaleas, unusual evergreen azaleas, native shrubs and trees, perennials, native ferns, and many varieties of hosta.